If you have a history of multiple failed attempts to get sober, you may be worried that giving up alcohol or drugs is something you will never be able to achieve. This pessimistic outlook may seem justified, but there really is no such thing as a ‘hopeless case’. There are countless examples of people who struggled with addiction for years yet were eventually able to break free and create a better life. 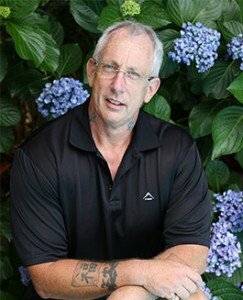 Here are 5 suggestions for how serial relapsers can succeed at an addiction treatment centre. Are you still holding onto the hope that you can one day drink or use drugs safely? If the answer to this question is ‘yes’, it means you are not going to be able to fully commit to sobriety, and it explains why you are finding it so hard to stay stopped. In order to move forward to a better way of living, you need to fully let go of your old life. If sober living is important enough to you, it should mean you are willing to do whatever it takes to make it a reality. A common problem with chronic relapsers is they enter a treatment centre with a list of preconditions and things they are not willing to try or accept. In order to break free of addiction, there are likely going to be things you need to do that you initially feel resistant to – an attitude of willingness will mean you won’t be put off by these hurdles. It is always going to be possible to find people or things to blame when stuff goes wrong in your life. 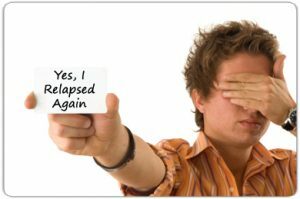 If you relapse following rehab, you can blame it on the programme, the other clients, or the fact that friends and family didn’t give you enough support once you went home. The reality is that the only person who is responsible for your sobriety is you – the best that other people can do is provide you with encouragement, advice, and the right resources. Your time in rehab is sure to pass quickly, and there is a lot of important stuff you need to learn and new skills you need to pick up. It is possible to just coast-along in a treatment programme, and only do the bare minimum, but it is you that is going to lose out if you do this. Make the best use of this precious time, so you can build a strong foundation for your future life. You have probably heard the wise saying – you are only as sick as your secrets! You need to keep this in mind when you go to rehab because it is the stuff you are not prepared to talk about that is going to get in the way of your progress. Don’t let fear and shame hold you back – by being honest, you can set yourself free and become more appreciative. This entry was posted in news and tagged no control, relapse, relapse programme, serial relapsers. Bookmark the permalink.